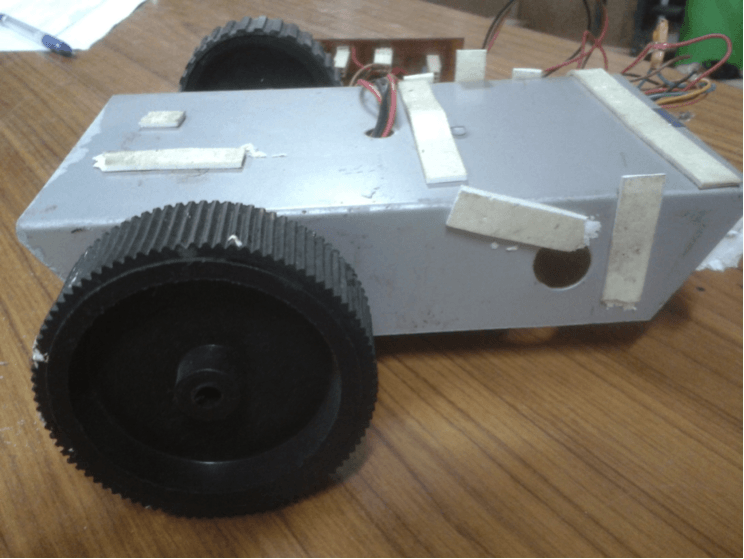 Build an image processing robot capable of detecting characters, using an overhead camera and traversing them such that the equation generated by the traversal fulfills a certain condition. We’ll split the Problem Statement into Modules. 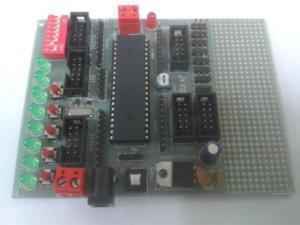 In this DIY , we’ll step by step discuss each module. The first thing to do is to make a mobile robot capable of moving according to instructions received from the laptop. Before proceeding with this module, we would request you to go through the set of general tutorials for computer vision, for both MATLAB and OpenCV, also found on our website. It is quite extensive, and we will assume that a working knowledge, as put forward there, is in the grasp of the reader of this tutorial. We need to first scan the characters present in the arena using an overhead camera. A good approach to solve this problem would be to segment out the characters from the image that is taken by the camera. Use bounding rectangles to take out the portion of the image containing the character. A method called contour detection can be used to figure out the bounding rectangle. Note that the video feed will contain some noise. Therefore you will not have a perfect image, and hence character detection may become really difficult or you might get wrong predictions. Therefore it is advised to use filters to smoothen your image. Also note that the contours might not be straight rectangles as viewed by the camera. You should take into account skewed rectangles too. Now given that you have n contours where n is the number of characters, you will have to process them so that they return these characters as strings and their positions in the arena. Optical Character Recognition (OCR) is a machine learning problem, which can be solved using a Naive Bayes Classifier. Read more about OCR using OpenCV (an image processing library) in this tutorial. You’re free to train your own classifier to solve the prediction problem. Also usage of OCR libraries is allowed. Now given that you have all the characters present in the arena.Design an algorithm that would return you a valid mathematical expression.The mathematical expression among these which satisfies the condition stated before the run is your unique expression.Form a que of the characters you need to visit according to this expression.This que would contain the co-ordinates of the characters and the co-ordinates of the end zone to terminate the run.This que would essentially tell the robot its complete route. Throughout your run you will require to track the position of the robot.A marker for the same will be provided.The marker will consist of two squares with different colours.RGB values of the colours will be provided.First we need to scan the input image to get all the points whose colour is roughly the same as the colour of square 1/Head.The centre of all these points is the centre of the Head.Similarly we can find the centre of the Tail.The geometric midpoint of these centre can be fairly estimated as the Position of the Robot. 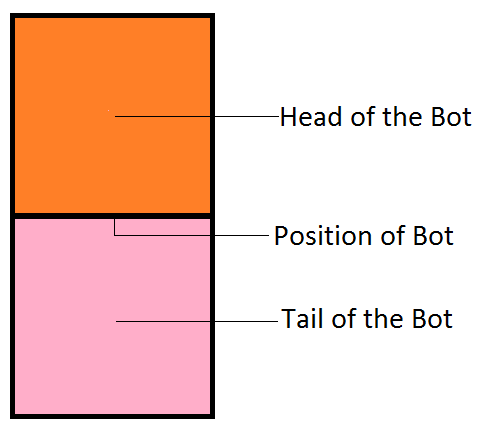 Now that we know the position of the bot and the position of every subsequent character according to the queue we need to send commands to the robot so that it moves to that particular position.Since all the readings are not accurate with the help of overhead camera we just need to move the robot so that its distance with respect to the subsequent position is less than a certain threshold.